Mischelle is one of the founding and managing attorneys at Luckett and Ashford and a dedicated Chicago lawyer who advocates aggressively for her clients. 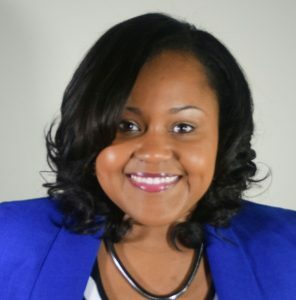 Mischelle Luckett is a managing partner at Luckett & Ashford. She has concentrated her practice in the area of family law, including divorce, child custody, child support, maintenance, visitation, property division, parentage, contempt and enforcement proceedings, complex asset division, legal separation, domestic violence and financial planning. Mischelle has been successful in advocating for father’s rights, securing equal decision-making rights and parenting time for dads, obtaining orders of protections for victims of domestic violence and negotiating settlements in high asset divorces. Mischelle understands that divorce and family law disputes are stressful and delicate events for clients. She believes that open communication and a high degree of trust is important to facilitate excellent client-attorney relationships and quality representation. She believes it is necessary to recognize the unique circumstances of each client. Mischelle utilizes her legal expertise to craft a litigious plan for her clients to bring about the best possible outcome for her clients. Mischelle received her law degree from UCLA School of Law in 2006. She is licensed to practice in Illinois by the Supreme Court of the State of Illinois and is admitted to practice in the U.S. District Court Northern District of Illinois. Mischelle is also a licensed real estate broker who practices real estate law. Erica is an associate attorney at Luckett and Ashford. 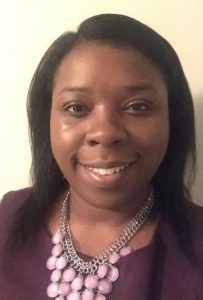 Erica Marshall is an associate attorney at Luckett & Ashford. Ms. Marshall will counsel clients in family law, estate planning and real estate matters, utilizing her wealth of knowledge to help serve her clients. Immediately prior to joining Luckett & Ashford, Erica focused on real estate law. Erica has handled both residential and commercial transactions and advised on multi-million dollar deals. Erica began her legal career with the City of Chicago Department of Law’s Corporation Counsel. This prosecutorial experience honed her ability to effectively communicate with people from all socioeconomic backgrounds. Erica transitioned into the private sector where she continued acquiring courtroom experience, negotiating large monetary settlements, recovering numerous judgments and winning countless trials. Erica earned her law degree from the John Marshall Law School in 2009, where she was a member of the John Marshall Law Review and excelled in trial advocacy. Erica also received a Bachelor of Arts degree from Lawrence University in 2004.